Gail lives on a property in New Jersey with plentiful woods, and she heats her home with a wood-burning stove. One of the things that helps Gail relax is spending time outside splitting, stacking, and storing firewood. Early humans are known to have originated in East Africa. Gail works alongside paleoanthropologists to uncover and better understand records of these early humans. As a geologist, Gail focuses on providing context about environment these early hominins lived in, including the climate, potential foods, and water sources. She first became aware of science in eighth grade when she took her first science class. It was her favorite class. Fortuitously, Gail’s neighbor at the time was a geologist and university professor. She began asking him about his travels to Alaska, and she was impressed by the photos and souvenirs he brought back. As Gail’s interests and inquiries in geology developed, he recommended books for her and would answer her questions about what she was reading. Gail was passionate about geology, but was dissuaded from taking earth science in high school because she was told it was not a real science. However, once Gail enrolled in college, she pursued geology as a major and also became involved in rock climbing, hiking, spelunking, and other outdoor activities that exposed her to geology in the real world. Earlier in her career, Gail was part of an interdisciplinary, international research team working in East Africa. She was abruptly fired (via a group email) after participating in this project for about 6 years. This was a complete shock, and it took Gail 1-2 years to re-organize her research program and recover. She suspects that challenges with personalities, politics, and differing viewpoints on the science contributed to the rift, but also her willingness to stand up for her female students who had been bullied and treated poorly in the field. 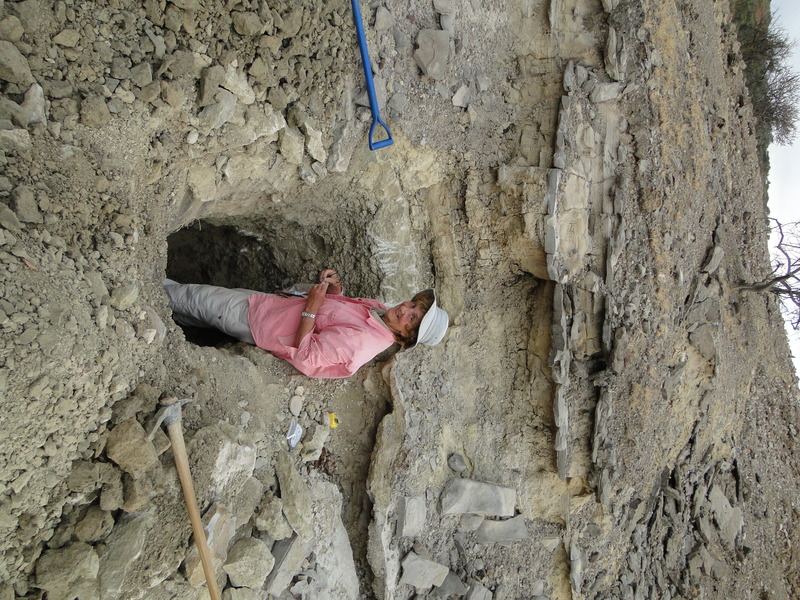 For about 4 years, Gail has been examining the early environment of the Olduvai Gorge in Tanzania, where remains and artifacts of early hominins were found 50 years ago. The reason for why the remains were found there has always been a mystery. She collaborated with a PhD student who was interested in analyzing the organic material in the soil, and this student discovered that 2 million years ago, the site where the artifacts were found was a dense woodland with an adjacent spring and wetland. They recently published a paper in the Proceedings of the National Academy of Science describing this early human habitat, including the water sources and potential edible plants. The Brooks Range in Northern Alaska is a beautiful small mountain range where Gail has spent several summers studying the sedimentology and records of early humans coming into North America. It is a pristine and remote area where they have to be dropped off by a small plane and then use boats to travel up rivers. Seeing wildlife like wolves, muskox, and other animals in their natural environment was phenomenal. At the end of one of these trips, their pick-up flight was delayed by 3-4 days due to necessary repairs, and the group was left stranded without food or supplies. It was remarkable to appreciate what it was like to live in the wild without readily available food. 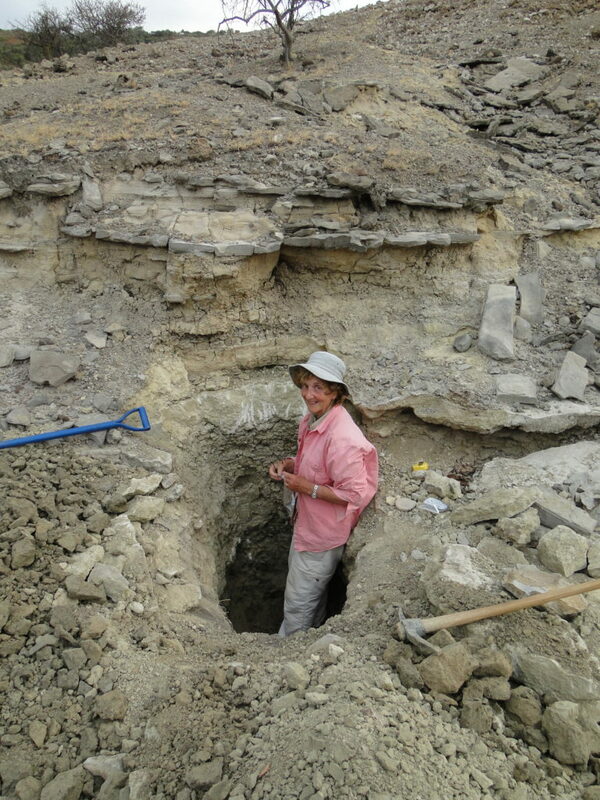 During one of her trips for field work in the Olduvai Gorge in East Africa, Gail and her colleagues were surveying the area looking for geological exposures that may contain artifacts or bones. As they rounded a corner, they were stunned to stumble upon a herd of elephants. They were only about 50 yards away from these creatures, and Gail wasn’t sure if it was best to run, climb a tree, sneak away slowly, or something else entirely. Ultimately they backed away slowly and the elephants didn’t seem to mind, but it gave her a new respect for the unexpected dangers early hominins encountered in their environment. You make good decisions. Go with them, and trust yourself. Also, follow your interests, even if other people think you should do something different or if circumstances in your life delay you. You will be a happier person if you can follow your passion. Gail has been at Rutgers for 39 years and supervised 38 graduate students and 25 undergraduates.She has published more than 100 peer reviewed papers. Gail’s husband and daughter are geologists, and her son is a rock star with the band “Firewater”. She always likes a challenge and enjoys solving problems. Keeping the old adage in mind that there is “no substitute for water “, her current research is focused on determining the water resources used by humans in Africa responding to climate change as they “followed-the-water” northward and eventually migrating out of Africa and into Europe and Asia.